Rose Electronics is currently expanding our inventory. 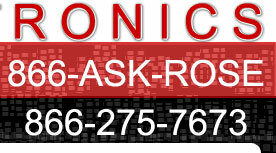 If you have excess electronic components, turn them into instant cash with a simple phone call to Rose Electronics. Our experienced buyers will efficiently evaluate your inventory, provide a firm, top dollar quote, and make all necessary transportation arrangements. We are always seeking new component sources, particularly for allocated and hard-to-find parts. Why carry excess inventory on your books, and waste valuable warehouse space, when Rose Electronics can provide immediate payment for your electronic components? CONTACT our Purchasing Department TODAY for an immediate response.